Chances are, if you enjoy true crime, you’ve probably witnessed depictions of the most extreme examples of insurance fraud. Some fraud cases are so insanely played out that it’s no wonder they’ve been made into TV movies and shows. 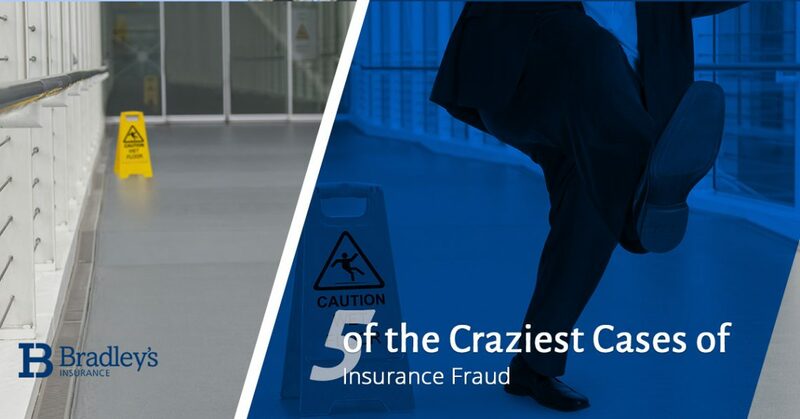 What are some of the craziest cases of insurance fraud out there? Nothing takes the cake in insurance fraud like faking your own death. Of course, you need an accomplice in this one if you want to reap the benefits, which is exactly what Clayton Daniels did in 2004. With the help of his wife, Molly, he unearthed the grave of an elderly woman, Charlotte Davis and dressed her in his clothes. He then placed the woman’s corpse in the driver’s seat of the car, set it ablaze and pushed it off a cliff in hopes people would think he died. Molly could then collect the money from his $110,000 life insurance policy and they could live the good life. However, there were no skid marks on the road, which would have indicated an accident and the insurance company ordered a DNA test for the body. When it didn’t match, police questioned Molly’s new boyfriend, who turned out to be Clayton with his hair dyed black and a mustache. Both of the Claytons are now incarcerated. By the time she was 72 years old, Isabel Parker had fallen in supermarkets, liquor stores and department stores 49 times, raking in over $500,000 in insurance claims. Finally, insurance companies caught on to her scams and she was charged with eight counts of insurance fraud, but she only went to jail for six months. She got off easy, don’t you think? Nobody enjoys making car payments, so why not set your car on fire instead? When high school chemistry teacher Tramesha Lashon grew tired of her debt, she offered two failing students a passing grade if they torched her Chevy Malibu. She wanted to collect insurance money for her car, but her scheme didn’t go as planned and she lost her job and spent 90 days in jail. This just goes to show how far students will go to pass a subject as difficult as chemistry. Fraudulent insurance agent James Lee Graff stole over $40 million of health insurance premiums, forcing them to pay their medical expenses out of their own pockets. His clients paid him the insurance premiums with the expectation that he would forward the payments to the insurance companies. Instead, he kept the money for himself and lived an extravagant lifestyle until he was caught. When Carla Peterson dined in a Virginia Cracker Barrel restaurant, she pulled a dead mouse out of her soup and sued for over $500,000. With so much at stake, the chain’s insurance company conducted an investigation and discovered that the mouse had not been cooked and didn’t have any traces of soup in its lungs. Peterson didn’t get the payout she was hoping for. Whether you need personal insurance or commercial insurance in Stittsville, Bradley’s insurance is here to help. We’ve provided insurance policies for several decades, and we can help you find the best insurance policy for your budget and lifestyle. Contact our insurance company today to get started.